Scrap Processing Machines For Ferrous/Non-Ferrous - Largest Manufacturer and Exporters in India « Manufacturing wide range of all types of scrap processing machines such as Baling Machines, shearing machines, briquetting machine, fodder block making machine, municipal solid waste baler and nibblers in India & Overseas over 35 years of experience.For more information, Call us at +91-9958596018 or mail us at netmart@ahtpl.in. Available Metal Processing Machines in Stock. Manufacturing wide range of all types of scrap processing machines such as Baling Machines, shearing machines, briquetting machine, fodder block making machine, municipal solid waste baler and nibblers in India & Overseas over 35 years of experience.For more information, Call us at +91-9958596018 or mail us at netmart@ahtpl.in. The increase in literacy rate and development of several industries has boosted the demand for paper. In a country like India, the total amount of paper consumption every year is 100 lakh tons. That is why many paper mills are enhancing their capacity and refurbishing the plants. Because of which many trees are cut and has let to air pollution. Deforestation not only affects the human but even wildlife as their shelter is cut done and they find no place for living. There are several NGOs and many agencies that are doing various recycle programme by focusing on the environment. • There are no specific machines for waste collection from offices and households. • Using newspaper for packing various items. • Municipalities are not focusing on the waste management network accurately. • No space for storage or sorting of squandering paper. • An inaccurate connection between the waste paper supply chain and informal sector. Recycling is the key element of modern waste consumption in India. All the government bodies and citizen are not well aware of paper recycling. As compared to other countries paper waste in India is less. It is essential to understand that organization paper properly will benefit the environment. 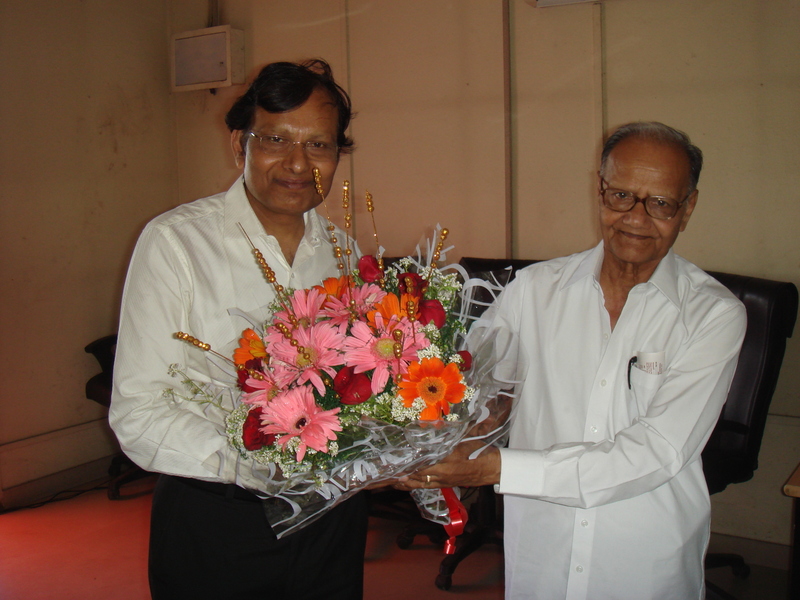 It is a boon for all the organizations, as once a paper is recycled it can be used for a long time. There are several machines that help in paper management so as to produce less waste. They are cost effective and improve the environment so that one can be free from diseases. Circuitously it assists in green revolution and saves the atmosphere from global warming. Craft paper baler is used which can help in counting the length of the paper automatically. Sorting of paper- one must gather tidy paper so that it can be recycled accurately. The paper should have no contamination like food, metal etc as it makes difficult for a paper to get recycled. The contaminated paper is then composted so that it can produce energy. In India and other countries, the paper is sorted according to different groups. Proper groups are made in which the best and worst qualities of papers are distinguished. This makes easy for a person as he can know which paper can be recycled and which can be composted from producing energy. Collection and transportation- the next step after sorting the paper are collect them and transfer it to the recycling center. They collect and recover paper at regular intervals. After this process, the collected paper is then wrapped in bales and then delivered to paper mills in which it is renewed into a new paper. In India, there are an endless number of paper mills that perform these functions so as to meet the demand of paper every day. They take all the required steps so that paper can be recycled appropriately. By paper recycling machines one can increase the employment and reduce the cost. Moreover, these machines are used to deliver the best quality of a paper. Paper waste comprises nearly one-third of solid waste produced throughout the globe. Earlier, paper waste was disposed either in landfills, consuming a huge lot of space or they were incinerated. Combusting paper through incineration tends to release carbon dioxide, thus disrupting the natural atmospheric balance. The increased greenhouse effect is accountable for climate change and global warming, making incineration and landfill disposal unsuitable and destructive options for paper waste management. Paper recycling is considered as a green solution for paper waste management. Paper recycling is a process of converting waste paper as reusable paper and different products. The process of recycling paper deals with many stages, which include collection, sorting, shredding, re-pulping and de-inking. The first stage involved in paper waste management is collection. Paper waste, like printer paper, newspapers and product boxes and cardboard, is collected by keeping recycle bins in the schools, offices, public places and households. The process of collection is done by private companies and municipal organizations that specialize in waste recycling. The next stage of recycling paper is sorting. Once they are collected, paper waste is sorted into various piles based on the type and quality of paper. The piles are compressed to make bales when in turn are utilized to make recycled paper. Shredding is the important step in paper recycling. This process involved cutting the paper into small bits, which are further broken down as fibers. Re-pulping is a process in which fibers are converted into pulp by mixing water. This pulp contains different unnecessary components like old ink, weak fibers and dirt. In this stage of paper waste management, the pulp is washed, separated, sieved and then rotated. Resultantly, weak fibers, old ink and dirt get segregated from the pulp by means of sludge that is then discarded. The clean pulp is used to make recycled paper and also other products like fruit trays, egg crates, paper cardboard, false ceilings and insulation. 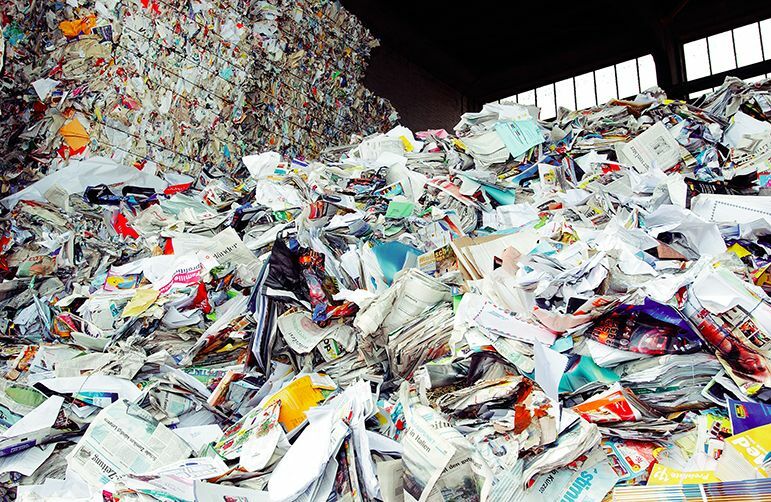 Importance of paper recycling Paper recycling is an efficient and environmentally friendly process, which helps in limiting deforestation practices. Many animal and plant species go extinct if their natural habitat is harmed due to deforestation. If trees are cut down, it disturbs the balance of atmospheric gases as well. It is found that each ton of recycled paper saves about sixty thousand liters of water, which is really a great benefit as the production of fresh paper consumes huge amounts of water. Proper baling processes for scraping paper can assist achieve the competitive edge. Paper miss customers tend to demand heavy, strong, stackable and homogeneous bales of scrap paper. The baling machines play a vital role in attaining these quality bales along with appropriate feeding of paper scrap baler. Creating heavy, strong and dense bales is the important requirement. Heavier bales will support filling up the trailer or container sufficiently and hence use optimum tonnage potential. There would be a need to bale paper according to the type of quality of paper waste that is being processed. Waste management technologies tend to differ by region, country and also county due to different factors like population density and economies. However, many different governments arrive at the conclusion that alternative sustainable techniques need to be implemented and quick. Landfills reach their maximum capacity and the facilities grapple with improved expenses. Emissions and hazardous fumes continue rising, thus causing the cities to look into balancing the long-term environmental advantages with cost-effective technologies. The Waste Processing industry combines with other industries such as forestry, infrastructure, transportation, energy and architecture. The most common waste management technologies include composting, recycling and landfills. These techniques have their own advantages. Waste management has evolved into an industry and is much more than just eliminating waste. The organic waste is separated from inorganic and non-recyclable waste. This has enabled cities to use organic waste to make compost for the public areas. There are also some cities that pack and sell the compost for making money. These products can be reprocessed as well as recycled and can be used to produce new products. This technique has assisted further consumption of natural resources and reduces the ultimate requirements for waste disposal at the same time. Apart from the environmental favors of waste management, it is also beneficial for health. Earlier, burning off waste in the backyard or landfill was a common technique. However, according to health agencies, when plastics and garbage are being burned, they create particulate matter which are solid compounds and suspended in air. Proper waste disposal or waste management transmits waste to areas where they can be incinerated, left or disposed in a safer manner. Eliminating waste from public areas aids reducing the risks to health, brings down the exposure to bio hazards and also reduces pest infestation. There is another benefit of proper waste management that not many people are aware of and it is by means of waste energy. This waste energy is essentially a derivative of some practices of waste management. Though incineration releases more amounts of carbon dioxide and other pollutants, contemporary advances have been accessible to capture the energy being developed in incineration and use it to produce electricity. The ultimate result is an intricate technique of reusing items in order to reduce the need of future waste. Although it is done on small scale by industries, it is a better start and is a great benefit of waste management as well as disposal. Wastes are in the form of solid, gas or liquid. Some wastes are categorized as radioactive. Few are hazardous whereas others are not. It is a thing of major concerns for individuals and companies. Handling and managing wastes may differ as per the specific area or location. For example, there are countries that deal with waste issues differently and in the same country, different people treat wastes differently. Wastes in cities are normally managed in a different form than that handled in rural areas. Additionally, there is a great difference between residential and industrial wastes. Yet some countries have less involvement in handling problems on wastes. Buy wide range of waste processing machines like Paper Waste Baling Machine, Plastic waste baler and metal scrap baler from India’s largest scrap processing machine manufacturer. Visit http://www.advancehydrautech.com for more details. Balers are ideal for tamping reusable products and waste materials into compact and feasible bales. Balers are perfect for any type of industry and institution such as schools, universities, manufacturing industries, recycling facilities and other business outlets as well. Balers are essential in keeping the waste in a corner, aside from the useful products, in different shapes and sizes ideal ones being round, square and rectangular which promotes less manpower in moving the waste to storage areas and dumping sites. Government of India has shown active participation in cleaning environment and waste balers are playing an important role in scrap managing. One of the things that a buyer should always be sure of is how he wants a product to function. The usage of the product is in the hands of the owner and his duty revolves around optimizing the best results out of it. When the thought of purchasing a baler is put forward the first question that comes to the mind is its speed, productivity and the maintenance that it will require. I. An essential feature of a baler is its potential to work with huge quantities of waste. ‘More productivity in less time’ is the sole purpose of our generation and only machines have made it possible to achieve it. II. The materials that will be processed in the baler play a vital role in the purchasing which is essential for both current and future purpose. The heavy structure of the baler determines it ability to work more with all types of waste products such as Metal, paper, plastic, card boards and cotton waste. III. The complicated the manual to handle a system or a machine, lesser the work will be in hours. A machine is a thing that eases our lives and a baler that help in getting rid of waste in an efficient way ought to have a simpler working system. IV. The machine was created on the first hand to reduce work of humans and the more automatic the machine, the less will be the manpower required giving the workers more time to concentrate on the more productive outputs leaving the baler to do the job that it was created for. V. The right size of the product, that needs to be mobile is essential, to keep the company from spending much on its movement. The baler’s waste should be accurate and organized so as to avoid any inconvenience while kept in storage or moved to another place. VI. The electricity that a machine consumes needs to be kept in check and with the market offering numerous alternatives one should be wise enough to purchase a machine that consumes less and has a good conductivity. VII. Just as our mobiles and laptops offer photo sensor start up, there are balers also available with similar features so that when urgently needed, the work can start without further formalities. VIII. Before purchasing a machine compare it with its competitors and alternatives products, it is advisable to ask around previous customers about the quality of the baler. IX. Make sure to run the baler or ask them for a demonstration before taking it home and if the buyer is new whether training is provided to ensure the proper usage of the baler and its safe continuity. X. Machines require both guarantee and warranty which should be the concluding question of the buyer and whether the company has a good reputation for its products and is always working on making his machines more effective and efficient. Our generation is a buyer’s market and in order to remain the king of it, it is vital for him to know his rights to acquire the best the market has to offer. Advance Hydrau Tech Pvt.Ltd – One of the largest manufacturer of waste processing machines offers wide range of eco friendly waste management products. Visit today http://www.advancehydrautech.com or email us netmart@ahtpl.in to know more about the products. A shredding machine which is a heavy metal shredder is a machine that is used for the purpose of tearing large portions of metal scrap into smaller parts that have a high density. Such smaller portions must be clear of dust, rust and color contents. The scrap is turned into small pieces by specially fabricated machines known as Hammers that have a very high torque which helps to strike the scrap metal and aid shredding. Right from beating to shredding these specially designed Hammers made from alloy steel convert the scrap metal into sheave sized recycled products. The need for recycling waste products provided by the shredding machines has become a necessary process especially since it provides a means of sustainably reducing overhead costs of raw materials. It offers economic solutions for treating scrap waste to reduce the environmental impact it might have on ground water, soil and scenery. Depending upon the intensity of the recycling process, you can purchase ideal metal shredding machines that can be fed with appropriate loads of scrap metal waste. A typical metal shredding machine essentially consists of a conveyer belt that segregates the ferrous and non-ferrous materials due to its magnetic properties. This segregation simplifies the shredding procedure and transforms scrap waste into economically useful fragments that can be re-used as secondary raw materials. During metal shredding, the yield of hot metal is very high compared to the amount that is fed inside. The chemistry of the obtained hot metal is concise, precise and consistent. The electrode breakage is minimized alongside lesser sulfur content. The capacity or durability of the hot metal is increased. Electrical consumption of the hot metal is lesser per ton. The benefit of recycling reduces air pollution and environmental hazards. Shredded scrap is easier to manage and provides a dense mix when blended with other stock. The shredded scrap is automatically segregated into ferrous and non-ferrous materials. The control systems of the shredding machine is automated or handled manually by the workers in charge. You can control or monitor the functions of the shredding machines accordingly to the quantity of scrap metal present. Shredding machines don’t require intensive care and need; therefore easy maintenance can be expected. The design of the shredding machine is flame proof therefore can sustain enough mechanical damage. The time efficiency of the shredding machine is precise and offers the shredded raw materials in the fasted period. You can control the amount of torque used in order to process light weight scrap and bulky scrap. The quantity of scrap processed can be recorded by the shredding machine as per the date, time and month precisely. This data is calculated by the machine itself. There is also provision of a dust collector in the shredding machine that facilitates multi-functional mode. Presence of a cooling and filtering system is attached within the shredding machines to obtain clean, pure and processed raw materials. 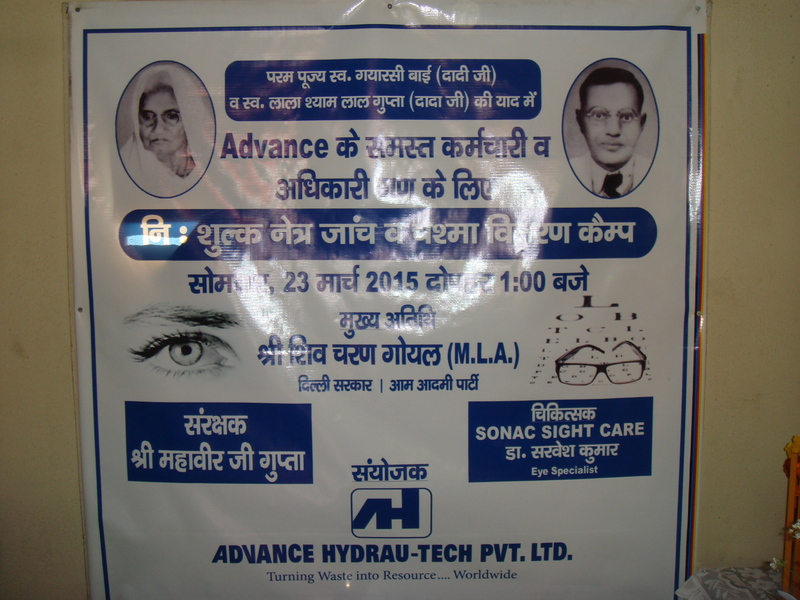 The employees of Advance Hydrau-Tech Pvt Ltd, Delhi, received free eye check up on 23-24 March, 2015. 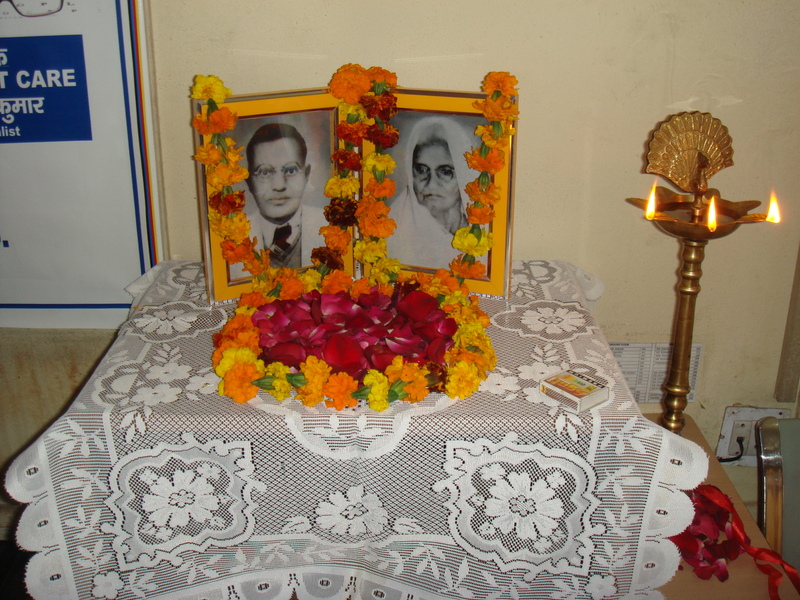 The camp was organized in the fond memory of Late Smt. 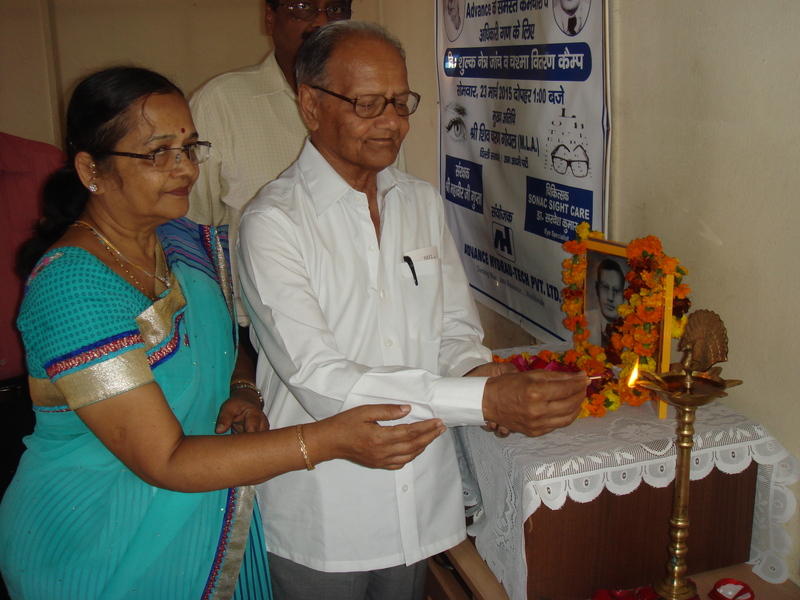 Gyarsi Bai and Late Shri Lala Shyam Lal Gupta, grandparents of Mr. Sudhir Gupta, Director of Advance Hydrau-Tech. 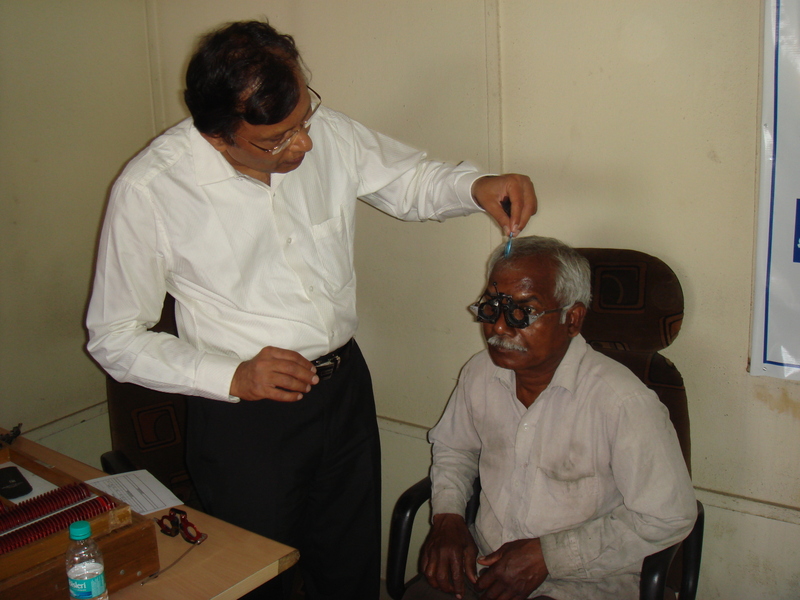 The first day was completed with a total of 70 eye checkups and 140 eye checkups on the next day. A total of 133 spectacles were distributed free of cost to the employees. 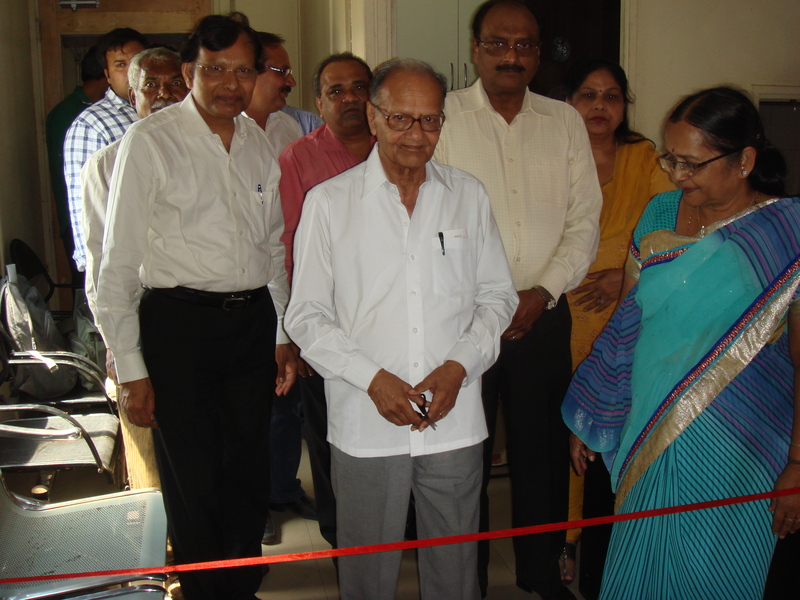 A routine check up for diabetes and blood pressure was also done. 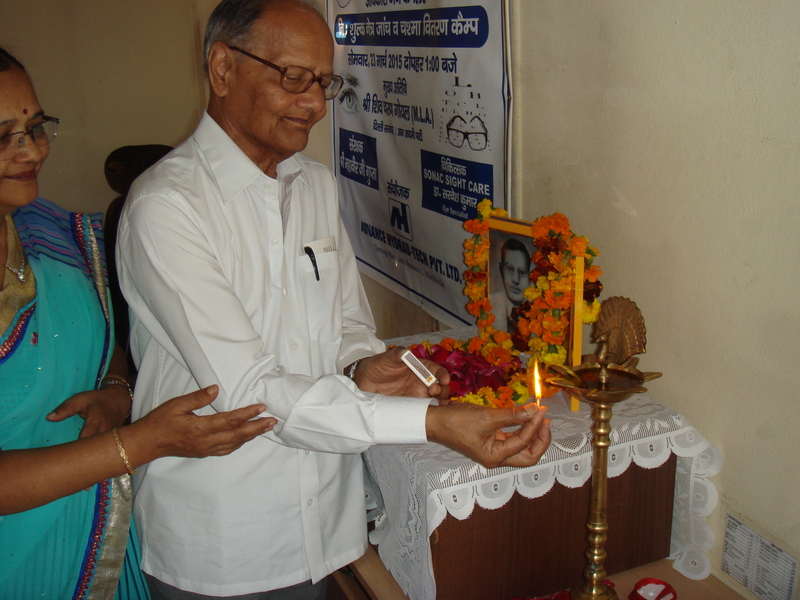 The camp took place under the able guidance of Shri Mahavir Gupta who well coordinated the working of the camp for 2 days. 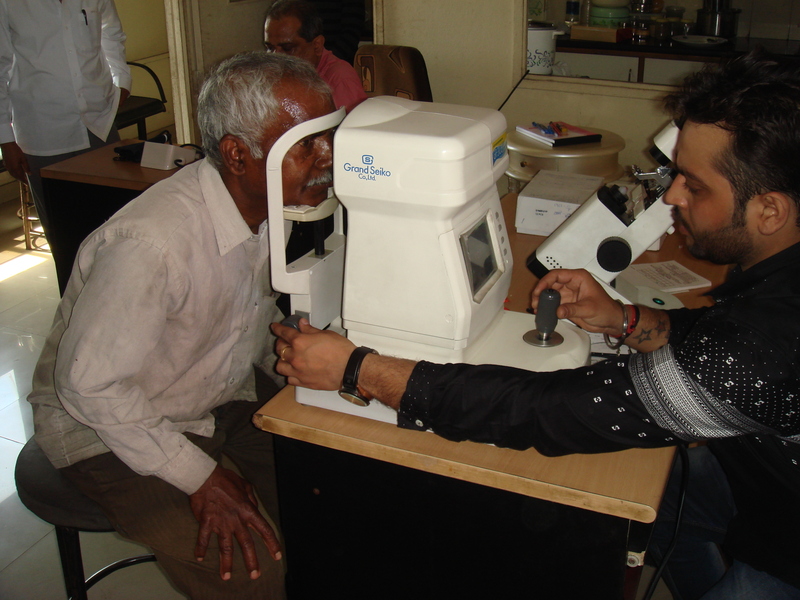 The success of the eye check up camp can be attributed to the able team of doctors lead by Dr. Sarvesh Kumar of the Sonac Sight care. The team of doctors also explained some precautionary measures that should be followed inside the factory premise. Director of Advance Hydrau-Tech Pvt. 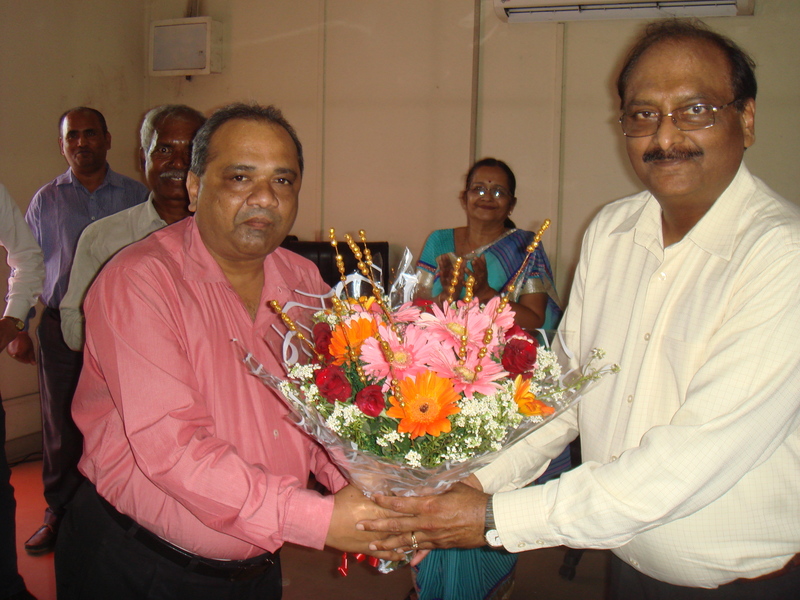 Ltd.
Mr. Sudhir Gupta, Director, strongly believes in giving back to the society and doing his bit for the betterment of others. And for an organization, it starts from its employees. The company strives to give an open and comfortable environment which encourages employees to become personally engaged and have a say in how the corporate social responsibility program operates. The employees have also responded to these plans and activities with enthusiasm and shown their interest in making a difference at work. The company plans to follow a strong and well planned CSR program in the coming years. If you are planning to get into the recycling business to handle all the paper waste, then an autonomous horizontal baler from Advance Hydrautech will be appropriate to handle just any shredded paper, cardboard paper for the long run. For the trimmed size paper, the horizontal baler with air cyclone has inbuilt sensors that initiate the pressing process. Each and every baler comes with a unique auto-tie system, where by if any specific material is needed to tie up the packaged article, a specific wrapper is customized to get the job done. Additionally, Advance Hydrautech balers are engineered for a wide variety of bale ejection and tying requirements. Also they customize the hoppers for different types of recycled paper such as shovel, air cyclone, conveyor and tipper. 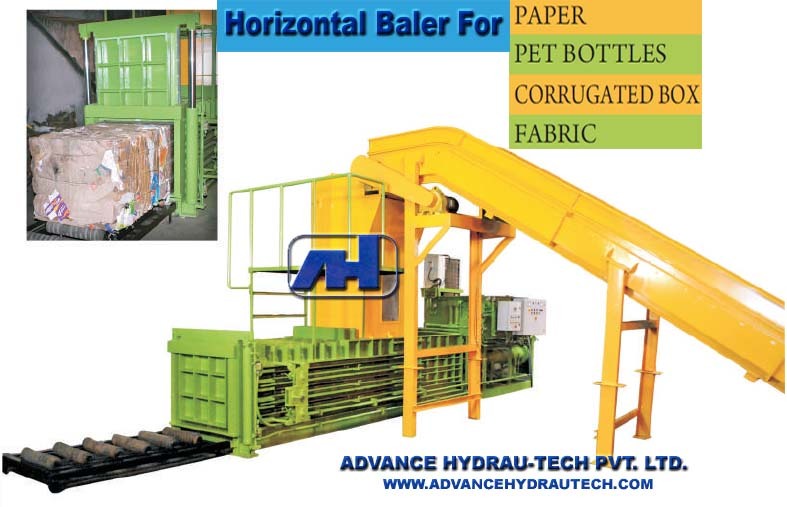 Baling presses from Advance Hydrautech have commendable reputation not only in India but also in the international markets. Procurement is done across the globe by recycling factories, baler resellers, carton box makers as well as entrepreneurs. The Semi Auto Tie Horizontal industrial baler machine carries out the baling process firmly to meet all kinds of demands.Advance Hydrautech Pvt. Ltd. produces one of the best scrap baling press machines available, the Semi Auto Tie Horizontal Baler. For low capacity and small scale users, the Semi Auto Tie Horizontal Baler is ideal as it will also come in hardy for paper manufacturers, printers as well as recycling collectors. This particular series of auto-tie horizontal baler is usually appropriate for compressing small cardboards, plastic film and shredded paper. Horizontal balers come can be operated automatically and transform them to different industrial balers such as a Cardboard baler, Paper baler (corrugated and trimmed), Carton Box baler among others. The Semi Auto Tie Horizontal Baler is able to press up to 50 tons at a rate of 2.5 to 4.5 tons an hour. A special designed model is also available that cam shred, wash, dewater, and tie plastic films for the pet bottle baler to bale. The Semi Auto Tie Horizontal Baler from Advance can have 4 to 6 strokes depending on your needs having an idle cyclic time of 130 seconds per stroke. The Semi Auto is able is to take in about 600kg to 750 kg of bale. The scrap bundle Machine baling press comes with air cyclone system at the feeding point which is then retrofitted inside the already present scrap management system. Double sensors are fitted on the baler to initiate the pressing stroke, while the other will set off an alarm in case of paper overload. If it happens that the press chamber is unable to completely feed the press chamber with paper within the time limit, the machine’s motor shuts down automatically. The Semi Auto Tie Horizontal Baler is fully automatic PLC system with manual ties. However, at extra cost a variant with automatic ties is available. Every stage of the operation is monitored via touch screens, giving users an easy way to troubleshoot the guidance system and sort issues in a quick manner. Additionally any issues arising on the system are recorded to be reference point in future if the same problem reoccurs. The Semi Auto Tie Horizontal Baler machines from Advance are well known for durability as well as exceptional customization capabilities. 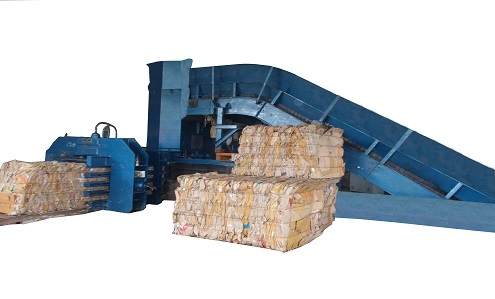 These balers are adjustable to fit the plant size, amount to be recycled, hopper shape, conveyor, feeder type and the wrapping material being used.